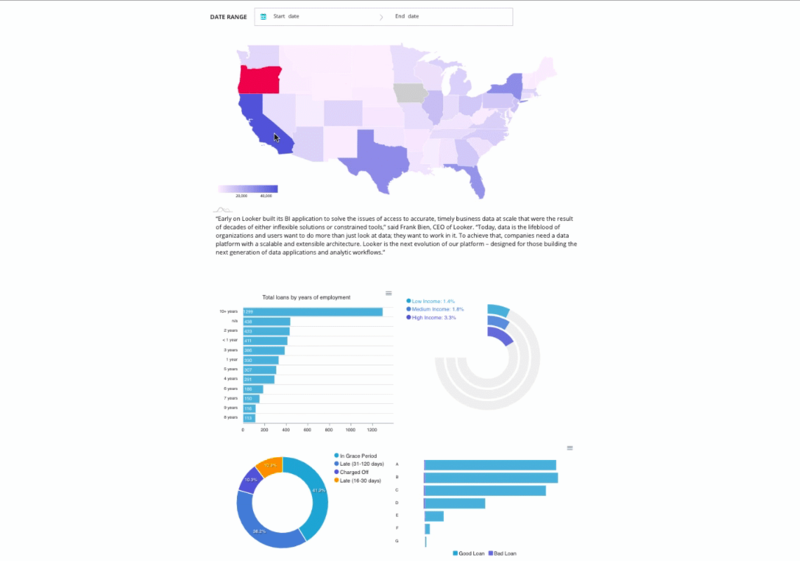 Deliver data to your customers with Powered by Looker. Collaborate better and ensure continuity as you embed reporting into your product. Manage your whole workflow in git with true version history and an agile development process. 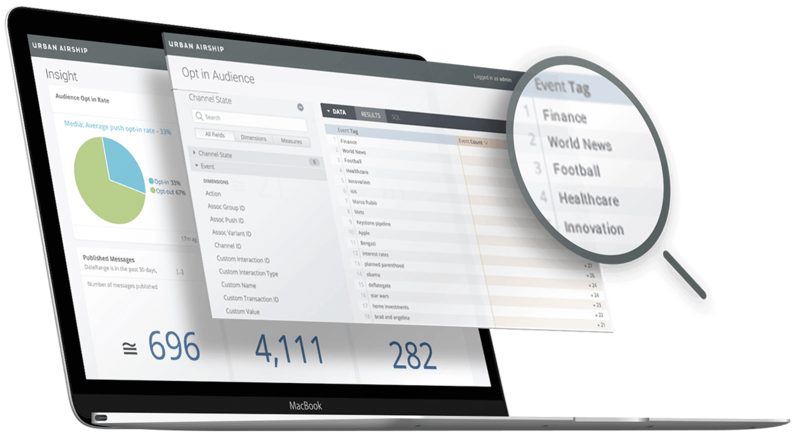 Urban Airship uses Looker’s embedded analytics to help leading brands engage their mobile users and maximize their reach. Make changes to your embedded reporting easily as you grow. Maintain your model in one place and have metric definitions and user permissions update everywhere automatically. 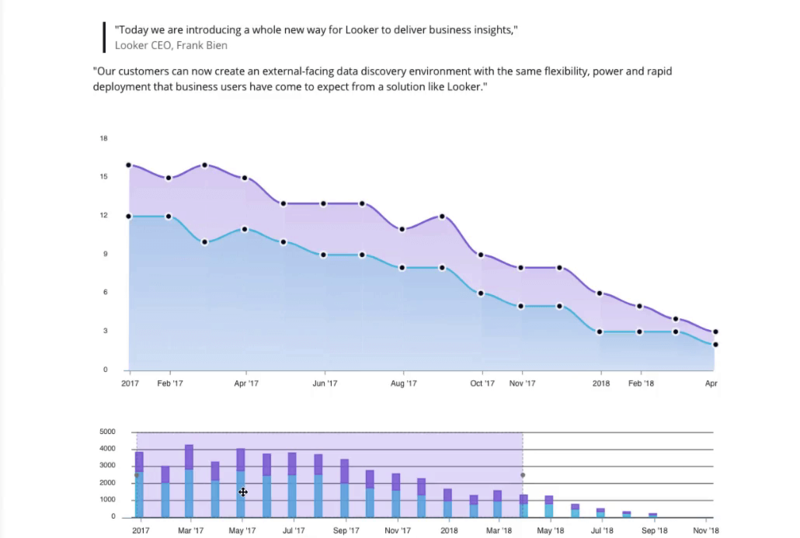 Looker helps Kollective add strategic value to its product while freeing up engineering resources. Get up and running fast. Customize the look and feel of your embedded anlytics to match your application. Robust APIs, SDKs and a library of popular integrations put you in control. Guidewire uses Looker to add value to its enterprise software and reduce time to market. Build embedded reporting experiences that allow your customers to drill down, explore, schedule alerts and ask the next question of their data in a self-serve manner. Ibotta provides clients with a deeper understanding of how their products were performing with customized dashboards built on Looker.